When I’m not online or drinking tea (which equals not very often), I work full-time in our county’s school system. Today is Martin Luther King, Jr. Day, aka, a holiday from work (silent cheer!). So where would a day off such as this find me? 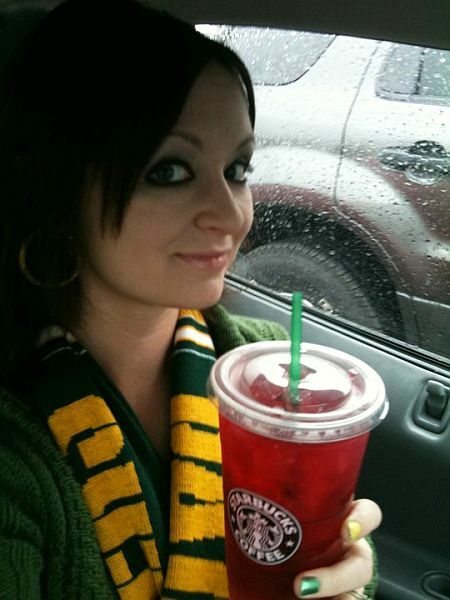 I grabbed a Cold Cut from Subway and rushed over to Starbucks for the biggest iced passion tea they have….for now. As you may have heard, Starbucks is introducing an even LARGER size for their cold drinks within the next few months…the trenta. However, until I can figuratively (and literally?) carry a bucket of passion tea out of the store, the Venti size will do just fine. My favorite two teas the Bucks offers are the green tea and the passion tea, but since my cabinets are full (full, I tell you!) of green tea bags and varieties, I went with the latter.